Fresh dough. Artisanal ingredients. Inventive to classic. You decide. Blazing oven + dedicated pizzasmith + 180 seconds = fast-fire’d perfection.  Come and check it out for yourself at WaHu, and don’t forget to bring your friends as well to share the pie! Eating healthy has never tasted so good. Enjoy endless variety of ingredients, prepared fresh for you by the team of salad pros. Feel Good. Love Salad. Come and join us at Sprout WaHu! They deliver too! The very first Lao Sze Chuan opened in 1998 in Chicago’s Chinatown and has since become one of the most beloved Chinese restaurants nationwide. The brainchild of Sichuan-born Chef Tony Hu, Lao Sze Chuan prides itself on providing traditional Sichuan cuisine with high-quality ingredients. Vietnamese Inspired Che, Coffees, Teas and Fresh Fruit Smoothies. Get a healthy kickstart to your day at Bambu, located at Wahu! Whether you want to get your first credit card, open a saving account, or withdraw some money from your parents to dine at Blaze pizza, Lao Sze Chuan, or Sprout salad, we got you covered with Bank of American located at WaHu. Don’t forget to stop by the leasing office to sign a lease, get a tour, or simply say hi to us!